Basic Engg. & Finalization of Technical Specifications. 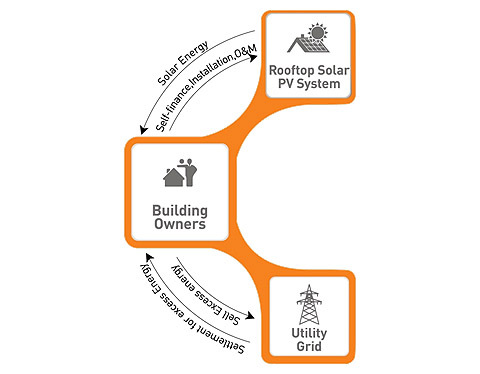 This is the most common business model for solar deployment in India. In this model the consumer purchases the solar system, by making 100% of the payment upfront or financing the system, often through a bank. 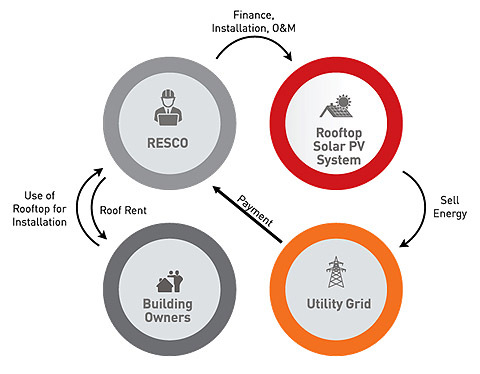 Under this arrangement, the RESCO developer leases the rooftop and pays a fixed lease/rental to the building owner over the time of the lease period for installing the solar panels of the rooftop. The RESCO developer exports the solar energy to the utility at a predetermined feed-in-tariff (FiT) approved by the regulator. 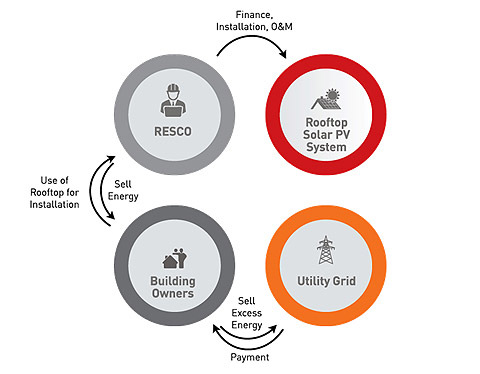 Here the RESCO developer invests in solar rooftop asset, and sells the generated power to the building owner in favour of a lower solar power tariff. The excess power could be sold by the building owner to the utility through net metering system.